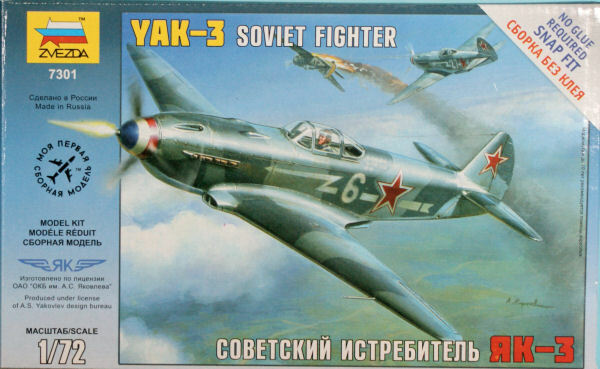 The Yak-3 was the ultimate Yakovlev fighter in World War II (Great Patriotic War). The low-wing monoplane fighter design started back in 1941 with the prototypes that led to the Yak-1. The design was further improved with a 20mm canon firing through the spinner, a pair of 7.62mm guns in the nose, and a pair of 20mm cannons in the wings. This was to be the Yak-3, but the design was abandoned due to the limited availability of aluminum for construction and the advancing German forces toward the existing Soviet defense industries. By 1943, Yakovlev once again looked at improving the Yak-1 by creating a smaller, lighter airframe built from plywood and incorporating many lessons learned in combat operations. Initially designated as Yak-1M, the aircraft was so impressive in its performance that it replaced the Yak-1 and Yak-7 on the production lines and entered service after the fledgling Yak-9. The Yak-3 was more agile than anything fielded by the Luftwaffe including the fearsome Fw 190. Armament in this lightweight Yak-3 was limited to a single 20mm cannon and one or two 12.7mm machine guns. 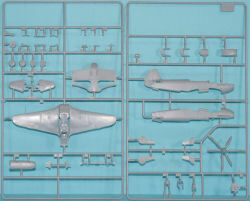 Zvezda has released a new series of 1/72 kits and this Yak-3 is the first example. 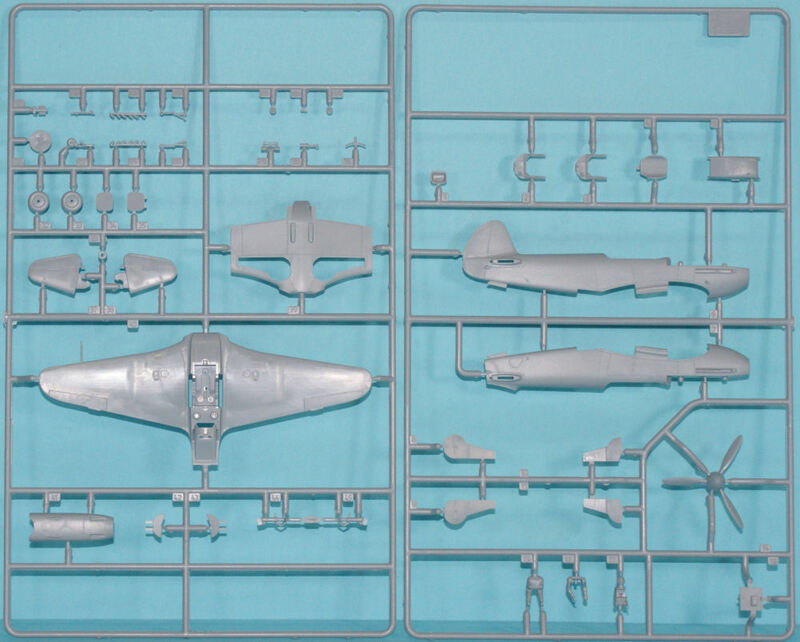 Molded in light gray styrene, this kit is presented on two parts trees plus a clear styrene part for the canopy. 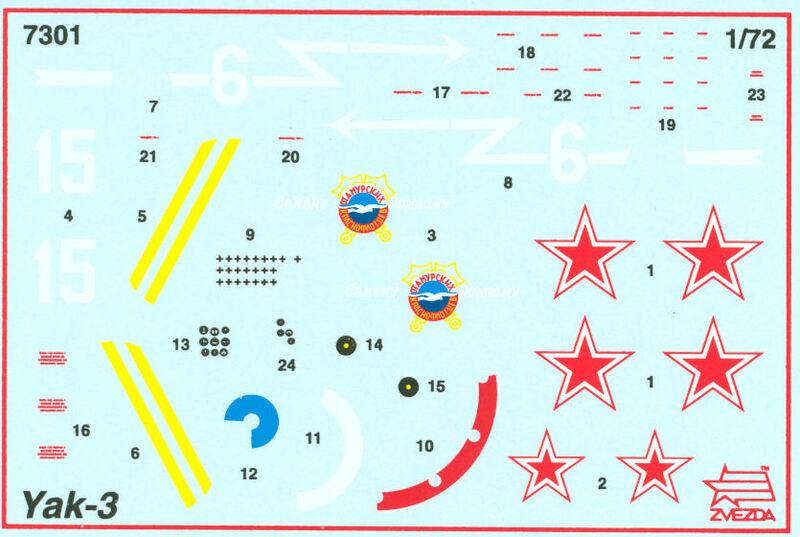 What makes this kit new is that this is a snap-tite (or whatever the generic term is for a snap-together kit). You wouldn't see that in the parts trees as this kit is as detailed as most of their releases, but all of those details snap into place. This is the first time I've seen the 'Snap' in Russian - transliterated it is Shchyolk. Despite its snap design, the kit offers a nicely detailed cockpit though the canopy is molded as one part so there isn't an option for an open canopy. The kit provides an optional seated pilot figure because you can also pose the landing gear up for an in-flight display or down for a parked pose. 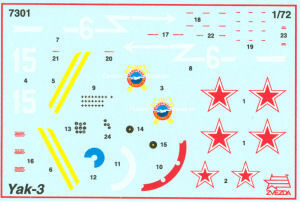 There is a slot flashed over in the wing to attack a display stand though none is included in the kit.